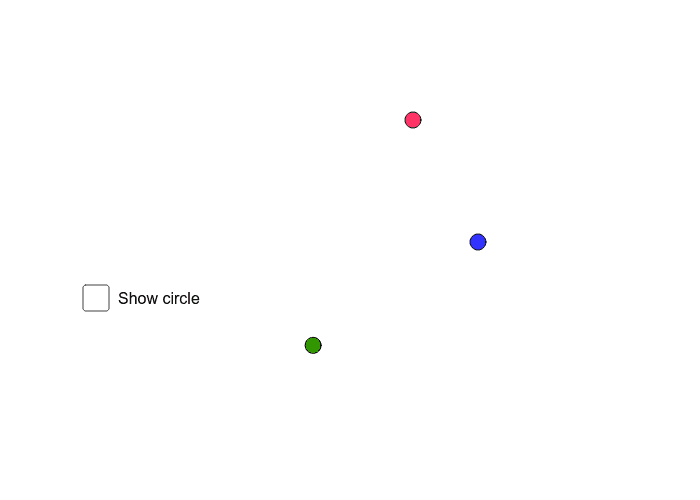 What does the diagram below suggest about the relationship between chords in a circle and the center of the circle? 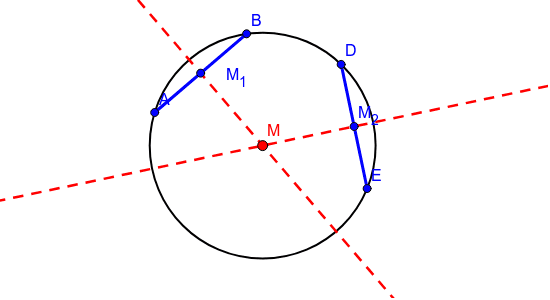 Given that the points A (2, 1), B (5, 1) and C (4, 7) lie on the circumference of a circle. 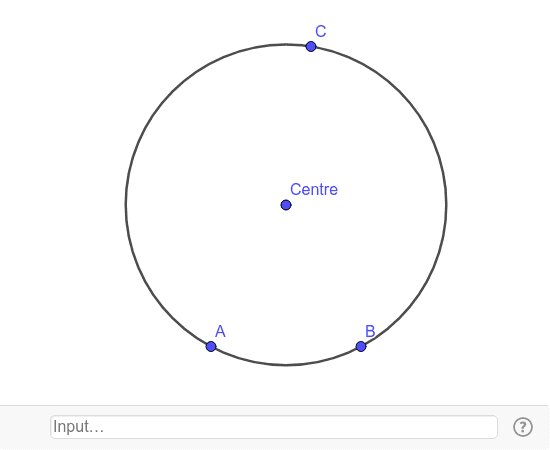 Find the coordinates of the centre of the circle, correct to 2-decimal places where necessary! Check your result by inputting the correct equation in the input bar!